What will climate change do to our love affair with roses … and our calendar of rose-worthy celebrations? Invaders and conquerors, like gardeners, know no zones or boundaries. Though if you’re both a conqueror and a gardener, the big, wide world is your garden. Sargon the Great, Nebuchadnezzar, Cyrus the Great and even Babur, the Tiger who founded the Mogul Empire were fascinated by the plants they discovered and were committed power gardeners. Mercifully these days, seed catalogues and local garden centres allow you to bring the big, wide world to your balcony and patio empires with much less bloodshed. Look at your garden. Much, if not all, is from elsewhere. How many native species do you have? Any? I have Salal, but only by accident. It showed up one year and I kept it on as my single, brave, little native plant. Every year on July 1st it waves a tiny Canadian flag. The die was cast millennia ago. Gardening is what you can grow and get away with. We may want to push the boundaries but, particularly these days, we should pay closer attention to them. What we can get away with is bounded by the USDA (United States Department of Agriculture) Plant Hardiness Zone Map. It was last updated 2012 and only available online. Unfortunately, it no longer includes Canada but we know the Lower Mainland area is in 8a zone (cooler areas are 7b and warmer 8b.) Each adjacent colour or zone indicates a difference of ten degrees Fahrenheit. Zone 8a (the same as Paris, France) represents 10 to 15˚F (-12.2 to -9.4˚C.) 8a zone snakes and kinks down the western side of the North American continent (with one or two interruptions) to connect with mid-state Texas, Louisiana, Mississippi, Alabama and Georgia. Will rhubarb someday be a big cash crop in Nunavut? So where’s our pecan trees, orange groves and oaks festooned with Spanish moss, y’all? We may share the average minimum winter temperature, but what we don’t is found on the Plant Heat Zone map. At the same mid-state latitude is zone 9 with 120-150 days of above 86˚ degrees F. (30˚ Celsius.) In the Lower Mainland, we rate only a zone 2 with a mere 1 to 7 average days in that hellish temperature range. Our cool, comfortable summers only permit us to grow a single variety of peanut, and not all that successfully. My two peanut plants were bought already started and just sat there increasingly compromised by leaf miner. Growing cotton is hopeless. I know. I tried. My few cotton plants barely got a few inches tall and stayed that way until frost put them out of their misery. One of the standard references for coastal gardening is Western Gardening Book by Sunset Publishing Corporation. Instead of the USDA system, they use twenty-four climate zones factoring in latitude, elevation, ocean influence and terrain among other things. It covers Washington (with a small nod to the Vancouver/Victoria area) down to southern California and west to New Mexico. We are Zone 4, ideal for perennials, bulbs and woodland gardens. Canada’s own map by the Natural Resources Canada’s Forestry Service is available on-line. Spectacular with fluorescent colours, it is based on a complex mathematical formula with seven variables such as the June to November rainfall, monthly mean of the daily minimum temperature and maximum wind gust in 30 years. Put them together and what have you got: an index value of 65-69, which places the Lower Mainland in zone 6b. The Service has an ambitious project of “Going beyond the zones” in creating range maps for species of trees, shrubs and perennials. Plant tags do not guarantee success. So why tolerate the gardening failures? Because of the temptation of potential success, because we know the climate is changing and because every year is different. Still the temptation of pushing the zones with novelty plants is worth giving in to. This year I’m growing cumin and planting it in the sunniest spot of the garden, which may not be enough. Base heaters with long extension cords may be in the offing before the season is out. Then there is my first and minuscule saffron harvest coming this fall. Autumn crocuses bulbs (Crocus sativa) grow well in pots and naturalize easily. They’re available in the fall at garden centres but sell out quickly. I’m dreaming of homemade saffron coloured pasta … unless the squirrels get them first. There’s the tropical fantasy (USDA zone 11 to 12) of picking your breakfast from the nearest tree. Will it matter if you have to substitute your apples for oranges, your peaches for papayas, your cherries for coconuts? If it does you may want to push the zone in the other direction. My parents knew a Canadian couple who had retired to a Caribbean island. They brought their rhubarb (Rheum rhabarbarum) patch with them. Each year they dug up the rhizomes and tossed them in the freezer for the necessary ‘winter.’ Every spring, with replanting, they ate their rhubarb pie under palms blowing in the trade winds. It’s sobering to think the plants we take for granted may not fare well if the zones keep rising – staples like our fruit trees to say nothing of roses. Roses can survive the tropics by being at higher, cooler elevations but at lower elevations they don’t always thrive. Exceptions exist an example is the very ancient Rosa x richardii or Rosa Sancta still found growing semi-wild around cathedrals in Ethiopia. 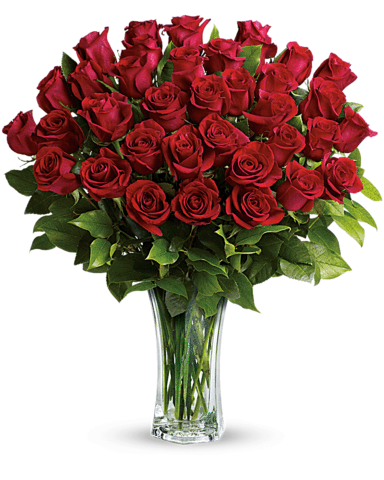 In a warmer world where will we get those dozen red, hybrid Tea roses for Saint Valentine’s Day and Mother’s Day? We’ll have to substitute a dozen tuberose stems (Polianthus tuberosa) instead and shift those holidays to September when tuberoses bloom. You can buy the bulbs of these lusciously fragrant plants now and plant them up easily in pots. They grow tall, needing staking, full sun, and good watering. Bring them indoors for their winter dormancy. Divide the bulbs every four years or start with fresh bulbs each spring. Regardless of size; from balcony to acreage, from acreage to empire, every gardening enthusiast will push the zone. Some plants may not survive the rigors growing out of their ranges but who knows, with global warming, roses and rhubarb could be the cash crops of future farms in Nunavut.